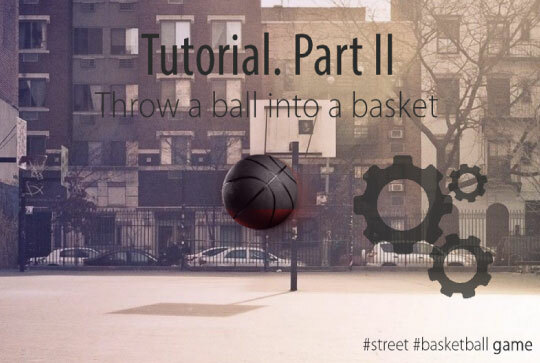 Developing a street basketball game. Part lll: Level selecting and stats. Creating a 3D browser game with physics in a few steps. This is a final part of “Developing a street basketball game” trilogy. 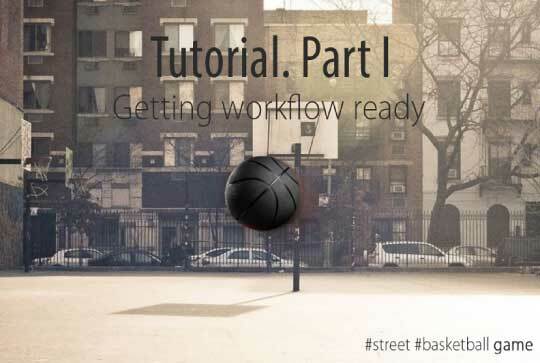 If you haven’t checked Part I: Getting workflow ready and Part ll: Throw a ball into a basket. — do it first. 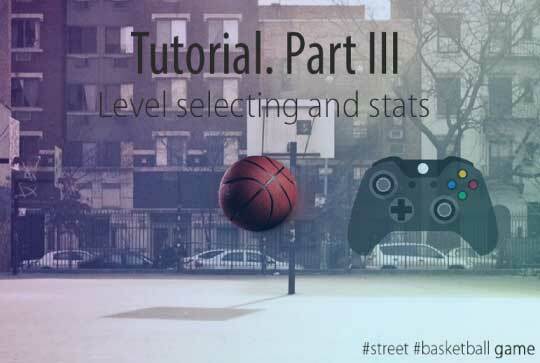 Today I will tell you about making new levels, creating a level selecting menu and showing player stats (How good is he as street basketball player). First, note that we added 2 new files to app.js: levelData.js and utils/textures.js. utils/textures returns functions for generating textures from inputed data. It will be used to print stats and level items in level menu. Second thing is that we add a raycaster variable. This thing is used to check if 3D vector generated from 2D mouse position intersects with other scene objects. And in last 21 lines of init() function we added checking for app loading status. I won’t describe this part cause it is not related to main application and you will probably skip or rewrite this part in your app. Just keep in mind that we use event listeners here to do various things that will make impact on app preloader. Main game. Player throws the ball until he score a goal. Goal details. Player scored a goal and now he see it’s time, attempts and accuracy. Level selecting menu. Player wants to choose another level or get back to current one. Let’s make a nice transition for camera, goal stats and game headline. Developing a street basketball game. Part ll: Throw a ball into a basket. This time we will talk about creating of basketball net (with physics), the way we will keep the ball, and throw it in different directions depending on mouse position. If you haven’t read a Part 1: Getting workflow ready, read it first, please. I describe there what to start with, how to create basic scene elements (ball, basket, wall and ground). We compile this project using rollup.js, it means we can use es6 moduleswithout any restrictions. Let’s add two files that will handle: 1) Events, 2)Loops. We’ll back to them soon, but let’s create a backboard and a basketball net first. Developing a street basketball game. Part I. Getting workflow ready. Some days ago I released a new version of WhitestormJS framework named r10 and decided to develop a game using almost all it’s functionality. (Just was curious how easy it would be). The task was to make a 3D game that requires complex 3D physics parts like concave objects and softbodies. Before starting developing the game I added a couple of directories that I will use later: js, css, textures and img. Difference between textures and img folders is that textures folder will be used for images that will be used in 3D part of app and img is for images that are used in html, css and stuff like that. Useful thing when you need to work with es6 models in front-end, especially when you use most of es6 features and want them even on old browser versions. 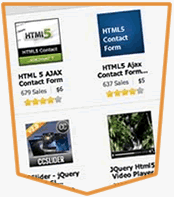 I used it with two plugins: babel for rollup and uglify for rollup to develop a cross-browser 3D app. Some libraries are getting updates regularly (yep, like whitestorm.js). For them I need front-end package manager like bower (You can use npm too, but bower will be enough). For tweening I used GSAP library, because of it’s performance and also we need basket.js to keep such a large library as WhitestormJS in localStorage. …And also i wrote a small bower plugin that will help me make preloading. Check it out there. My index.html file will be simple and will contain just loaded scripts and style.css for featured usage. Note that we don’t load whitestorm.js yet. We will add it then using basket.js.